Cree Erwin was a young Michigan woman who died in Battle Creek on the Fourth of July in 2016. 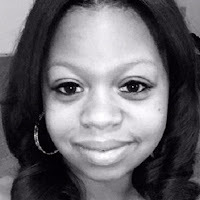 She had an abortion at the Planned Parenthood facility in Kalamazoo a few days before her death. For months we were left to assume that the abortion played the major role in her death, and after finally obtaining the autopsy report for Ms. Erwin, we can confirm that. The Calhoun County medical examiner found that Erwin died of a blood clot in her uterus that traveled to her lung. The immediate cause of the blood clot was a perforated uterus following a vacuum aspiration abortion and IUD placement. Left behind in the wake of this abortion is Cree Erwin’s young son and a grieving family. The autopsy is heavily redacted in the sections pertaining to the perforated uterus, which can be caused by an abortion or an IUD placement. The autopsy describes the perforation happening “post” Erwin’s abortion, rather than during it. It also mentioned methadone use (a painkiller) contributed to her death. The redacted autopsy still leaves many important unanswered questions. Our hope is more details will be available soon. It’s important to note that this information comes not from a go-getting reporter in the news media but a prolife citizen journalist, Lynn Mills, who has been doggedly pursuing this case. It’s because of this research that we can know where Ms. Erwin’s abortion took place. Planned Parenthood has issued no statement on the matter.